Skills are divided into soft skills (such as negotiation, people skills, leadership, etc.) and hard skills (such as languages, computer skills, etc.) 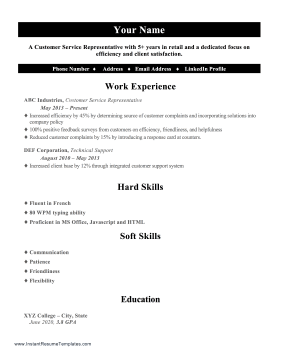 in this printable resume.